It is a stand-alone application for editing any mathematical expressions and symbols with easy-to-use graphical interface and various powerful features. 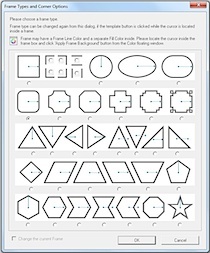 MathMagic Lite offers various symbols and templates for K12 Math and Science, and post-secondary math as well. 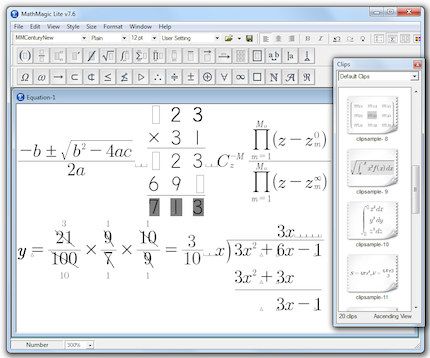 MathMagic Lite Edition works well with most word processors like MS Word, presentation software and graphic software such as PowerPoint, PhotoShop, Illustrator, and more, via Copy and Paste, Drag and Drop, or Exporting in SVG, PNG, JPG, BMP as well as OLE and WMF. 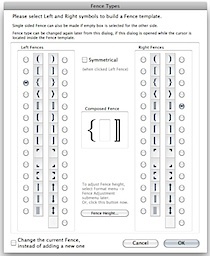 This page contains the latest information about MathMagic Lite Edition. 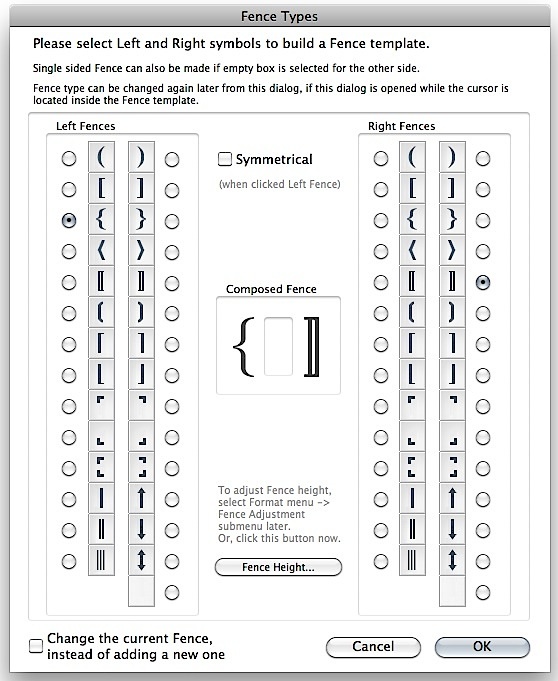 Please read the Feature Comparison table to see the difference between MathMagic Lite and MathMagic Personal. Equations created with MathMagic Lite are not allowed in any commercial material or public contents or on the web. Added: View menu -> Palette Size for Light Gray palettes supports up to 200% in high resolution. 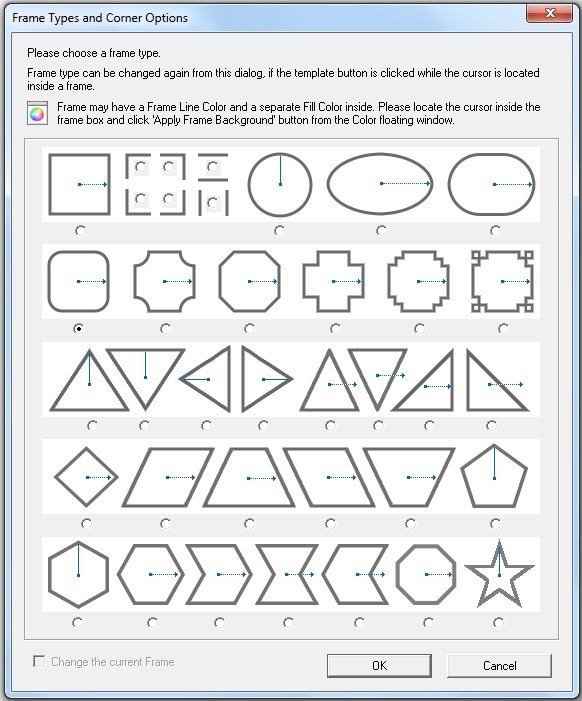 MathMagic Lite is Free so no Trial version availabe for MathMagic Lite. 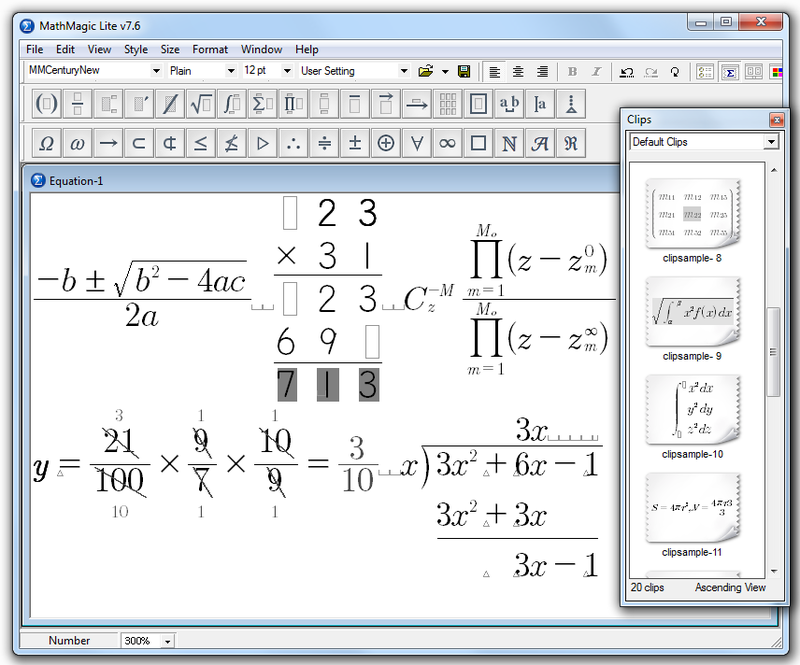 September 2014 - the first MathMagic Lite Edition for Windows released.